As an addict of alcohol or other drugs, there comes a time where you are tired of that life of drug abuse and wish that you would go back to normal. At this time your life has turned upside down and people cannot even recognize you since even your appearance has changed. Regardless, you still seem to have some hope. If you have reached this level, it is essential that you quit the drug abuse while you still can. Otherwise, you could land in legal trouble the next minute while trying to acquire the drugs or cause problems like accidents while driving under the influence. Despite that quitting drug addiction is a very advisable and good decision; it is quite rough depending on your addiction level. You need to understand that drug addiction means that your brain is programmed to function under the drug, since the production of its neurotransmitters such as noradrenaline has been suppressed. Hence, cutting off the drug consumption will definitely have consequences known as withdrawal symptoms. Withdrawing from a drug, which is stopping its consumption, is a step towards the right direction. It means that you want to take control of your life and make better decisions for your future. If you have just begun abusing a drug, the decision and action to withdrawal will be smooth and you will hardly have physical, emotional or cognitive problems since the drug is not deeply rooted inside your body. Maybe you will be tempted to consume the drug again, but that is just a thought that you can control and even ignore. You will be among the wisest persons if you opt to ignore the temptation and instead focus on your goals and future plans. On the other hand, what happens if you have been abusing the drug for a very longtime and have often increased your dosage? The decision and action of withdrawing from the drug will be harder and tormenting. First, you will think about your miserable life and thus set your mind to quit. Second, you might tell your addict friends about it and since they do not share your vision, they will discourage you. They will go further to confuse or challenge your reasoning regarding the decision to quit. Third, you will begin to have second thoughts about it, especially when you remember the euphoric effects the drugs give you. Fourth, you will remember some terrible feelings that you had, which are withdrawal symptoms, after you failed to take the drugs as regularly as you were used to. Last, you may either opt to persevere these symptoms till you are detoxified or fear and return back to your daily drug abuse routines. At this crucial moment, let us assume that you choose to push through with withdrawing from the drugs regardless of the ugly withdrawal symptoms. Addiction specialists define withdrawal symptoms as the response that your body produces after denying it something that it is addicted to. These symptoms affect you physically, emotionally and psychologically. This also means that they cause you to fail in a lot of things such as work and responsibilities, since your body tends to feel sick. The withdrawal symptoms of various drugs are not always similar. There are the common ones like vomiting and nausea. However, others are totally dependent on the drugs you abuse and get addicted to. Additionally, other withdrawal symptoms can only happen if you have the tendency of mixing drugs while abusing them. Luckily, the advancements in the medical field have led to the discovery of medications that help in treating these withdrawal symptoms. Therefore, there is comfort in knowing that you will persevere these symptoms with the help of these drugs. As soon as you cut off from consuming the drugs, the withdrawal symptoms will begin and last depending on various factors. Therefore, do not expect to experience the same severity of symptoms as another person, even if the both of you begun abusing the same drug at the same time or get admitted in the rehab facility on the same day. The following are some of the factors that determine the difference in withdrawal symptoms among addicts. The type of drug or psychoactive substance abused- since the drugs are made of different components, they affect your body differently. Hence, the symptoms of withdrawal among all the above mentioned drugs are severe at diverse intervals. The amount consumed whenever abused- it is unlikely that you will consume the same amount of substance as another person at all times. Whether it is the same drug or not, the amounts you take are likely to be very different from other persons. Hence, the severity of the withdrawal phase must differ. The length of the period of drug abuse- every addict that you will come across will have a specific period of drug abuse. As a result, it is highly likely that the intensity of the withdrawal phase will be different, even among addicts that abused the same drug. The method of drug abuse including; smoking, snorting, swallowing or injecting.- as an addict, the means that you use to ingest the drugs will vary from other addicts. Since each means transports the drug into your body systems in a unique way, the effects will take place differently, and so will the occurrence of the withdrawal symptoms. The presence of mental and medical health factors- if you suffer from health problems like diabetes, depression or anxiety, among others, the withdrawal symptoms will affect you more than another addict that has no health issues. The abusers genetic makeup and family history- your genetic makeup and family history make your body to be unique from other peoples. As a result, the consequences of abusing drugs will also affect differently. Social support provided to the addict- it is important to have as much social support as possible during the addiction treatment period since you are at your weakness during the withdrawal period. Lack of adequate support leads to issues like paranoia and low self-esteem, which further affect your mental health and worsen the withdrawal symptoms. Presence of either positive or negative expectations- it is highly likely that the expectations that you have will affect the intensity of the withdrawal symptoms. If you have a negative attitude towards your experience, you might experience very severe symptoms. The vice versa is true. The withdrawal process that one uses- as mentioned earlier, the method that you use to withdraw from drugs will highly affect how the process goes. Doing it with the help of a medical professional means that your experience may be better since there is medication that you can take. However, if alone, your experience may be terribly painful. The age of a person- while young, your body systems are still vigilant and hence the process of body healing can be quick. However, if you are undergoing through withdrawal while old, the symptoms may be quite severe since the regeneration of cells and healing takes place at a slower pace. From the above information, it is obvious that drugs have different withdrawal symptoms despite having some commons ones. Hence, addressing the common ones alone may leave you less informed about the withdrawal symptoms of all drugs. The following is detailed information about the multiple drugs and their withdrawal symptoms. Alcohol is among the most abused psychoactive substances around the world. The fact that multiple places allow its consumption seems to encourage people to abuse it more often. If you are an excessive drinker, the alcohol irritates and excites the nervous system. If this tendency of drinking heavily proceeds to a daily routine, your body will reach a point of alcohol dependency, meaning that your central nervous system can hardly function without alcohol. 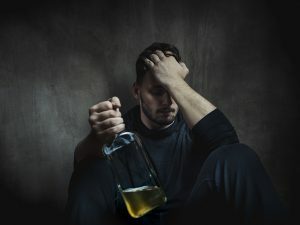 Therefore, if you significantly reduce the amounts that you are used to taking or stop drinking completely, you will suffer from alcohol withdrawal syndrome. Therefore, alcohol withdrawal syndrome is the name that addiction specialists use to refer to the symptoms that you suffer from due to withdrawing from alcohol abuse. As you experience this syndrome, you may have both emotional and physical symptoms. This syndrome may become life threatening especially if you experience heart disturbances, hallucinations and high fever. Therefore, addiction specialists highly discourage going through the withdrawal period alone. For it to be concluded that you actually suffer from alcohol withdrawal syndrome, the addiction doctor begins by analyzing your medical history. He or she proceeds to ask some questions regarding your symptoms while also conducting a physical examination. Who do you recognize at the moment? You feel as if you have bugs crawling under your skin? Is your stomach feeling sick? 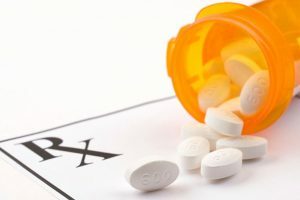 If you suffer from a disease that causes you to have chronic pain, you are likely to consume drugs in the opioids class, since they are quite effective in pain treatment. Some are prescription medications that are used to treat you and hence are acquired through physician prescriptions. Others are illegally produced from the source, the poppy plant, and hence their consumption is prohibited in most nations. Nevertheless, most people abuse them due to the euphoric feelings they cause. The above symptoms are very painful and unpleasant. However, within 72 hours to about 1 week, you will notice a decrease in the severity of the acute symptoms. Between day 1 and 2, you will begin having symptoms within six hours of withdrawal. The intensity increases in the first 48 hours. Most symptoms in this period include insomnia, anxiety, diarrhea, panic attacks and shaking. Between day 3 and 5, the withdrawal symptoms will be at the peak, where you are likely to experience nausea and vomiting, abdominal cramping, shivers and sweating. Between day 6 and 7, the acute withdrawal will go down, whereby nausea and muscle aches will taper off. You may begin to feel normal, although may still experience issues like tiredness. After this period, you are likely to experience post-acute withdrawal syndrome, which could proceed consistently for several months after the period of acute withdrawal. The persistent symptoms in this period include irritability, insomnia, anxiety, fatigue and depression. Therefore, abstaining from opioid abuse and addiction is not only for your own good, but also your child’s. The diagnosis of opioid withdrawal entails several activities. They include the performance of a physical examination by you addiction physician, which is accompanied by various question related to the relevant expected symptoms. Additionally, a medical history may be taken while conducting tests on your blood and urine to determine the opioid presence in your body. During this diagnosis, it is advisable to be completely honest so that you may receive the best care. Addiction to cocaine takes place very first since it stimulates your central nervous system. 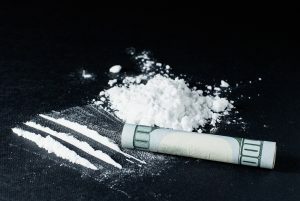 Therefore, if you are addicted to cocaine, then you have realized how often you want the drug in your system, since the withdrawal systems begin within the first ninety minutes after consumption. However, according to addiction specialists, the withdrawal symptoms that happen due to cocaine addiction are not intense like those of alcohol and other drugs, since they are not physical but psychological. 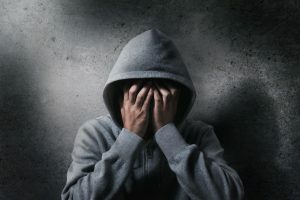 Nevertheless, this fact is not meant to encourage you to consume the drug, because despite being psychological only, these withdrawal symptoms still cause challenges. The following withdrawal symptoms can resolve after a period of about seven to ten days. However, due to the psychological effects, you may suddenly develop cravings for cocaine years after your recovery. It is important to keep this fact in mind, so that if it happens, you can seek help instead of relapsing. Physical symptoms like nerve pain, tremors, chills and muscle aches among others. The fact that you could develop suicidal thoughts supports the advice that you should seek professional help when withdrawing from cocaine addiction abuse and addiction. It is unfortunate that many nations are opting to legalize the consumption of marijuana. Those that have the power to do so choose to ignore the addictive part and opt to completely consider the medicinal value that scientists discovered. 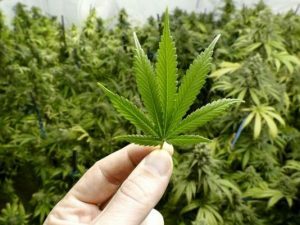 Therefore, as you view and understand the withdrawal symptoms that are caused by the abuse and addiction to cannabis, consider yourself more informed and hence, do not ignore this information. According to multiple researchers, marijuana targets and distorts the functioning of your brain. 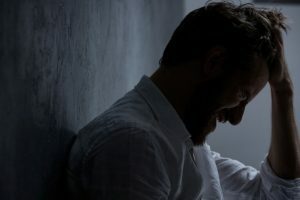 Therefore, the issues that arise during the withdrawal period are more connected to your psychological and physiological being and less connected to your physical self. These symptoms are known to start taking effect within the first twenty-four hours after your last intake. Their lasting period may be several weeks, though this is dependent on your level of marijuana addiction. Hence, if you are highly addicted, you may experience withdrawal symptoms for a lengthy period. The physical symptoms are the first to subside in the first few days to weeks, followed by the psychological ones that could extend for a while longer. Exercise daily for at least 30 minutes, to boost you mood. Find support that can be there for you as you suffer from the symptoms. May include supportive friends and family members. As mentioned above, treatment of all the above withdrawal symptoms should be under the supervision of a skilled and experienced addiction specialist, since ordinary doctors hardly have enough knowledge to deal with addicts. This treatment may take place in two settings of rehabilitation; inpatient or outpatient. The inpatient setting is the best for persons with severe addiction, since their withdrawal symptoms may be severe as well. What’s more, they may need 24 hour monitoring to ensure that the life threatening symptoms do not happen without the doctor’s knowledge. These reasons explain why outpatient treatment may not work for persons with deep addiction. They are still prone to the environment that could encourage their relapse and will lack help if life threatening situations occur. On the other hand, if you have a mild addiction or simply want to quit abusing the drugs, any of the two settings can work for you. The inpatient will be good due to the care and attention that you will receive, while the outpatient will allow you to continue handling your work and responsibilities while getting treatment. In conclusion, the above withdrawal symptoms are enough to discourage you if you are thinking about getting into drug abuse. Additionally, they can encourage you to quit drug abuse as early as possible, before the dependency on drugs kicks in. If you are already an addict, you are now informed on what to expect. All you have to do is keep a positive attitude to push you through the hard times.